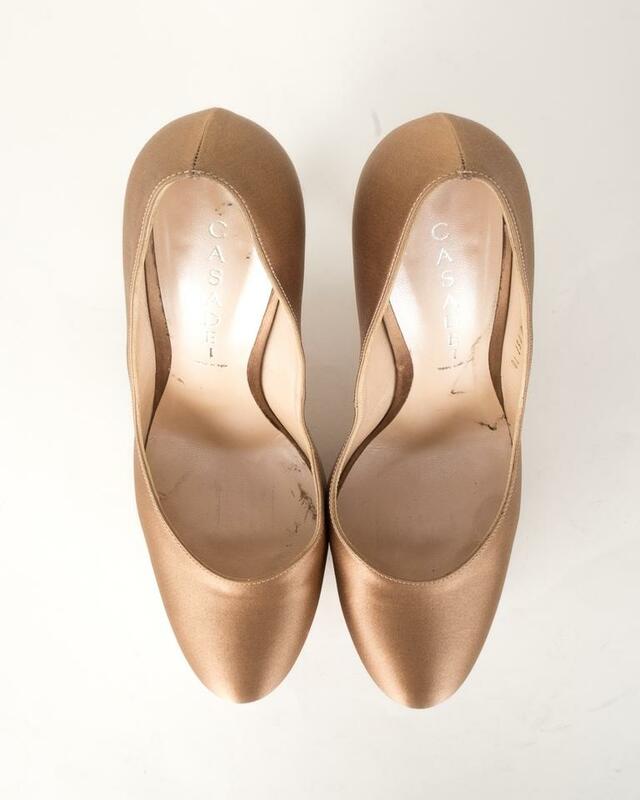 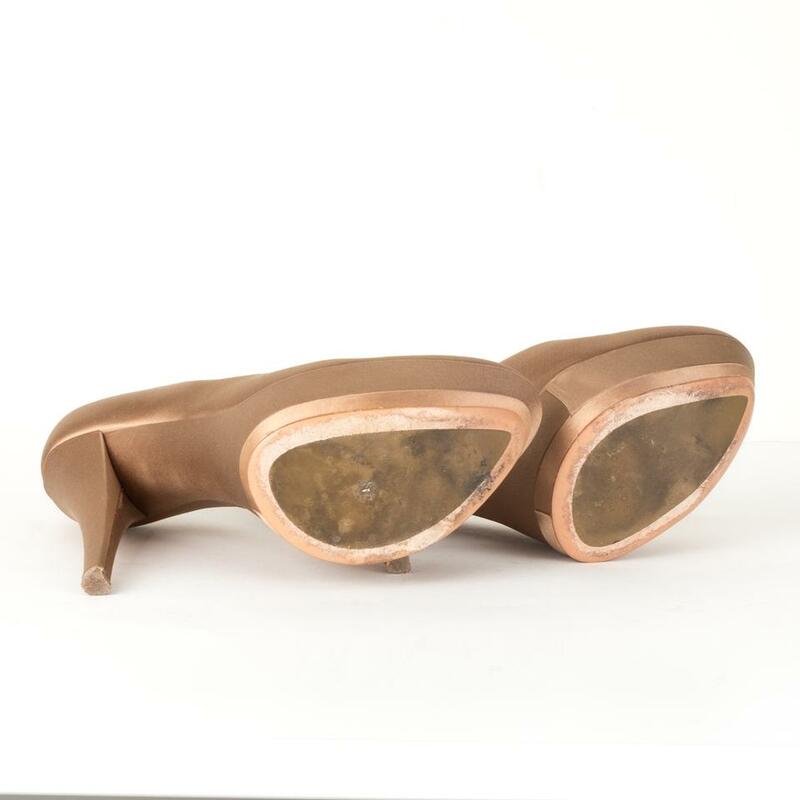 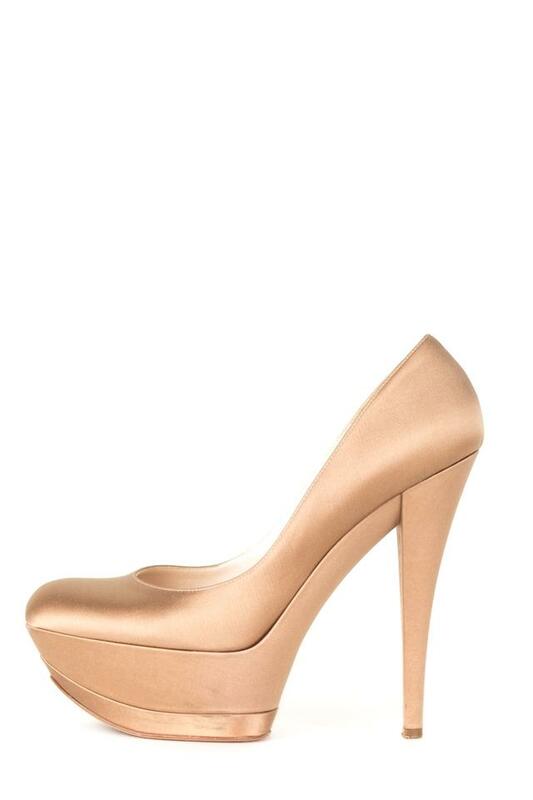 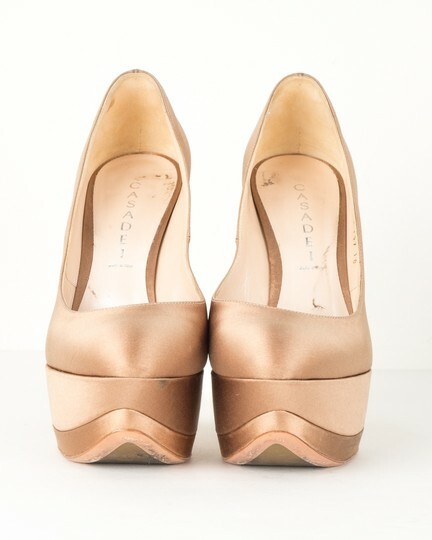 Casadei gold satin round-toe pumps with tonal satin platforms, tonal stitching and covered heels.This item has previously been worn. Minor wear on the interior and exterior. 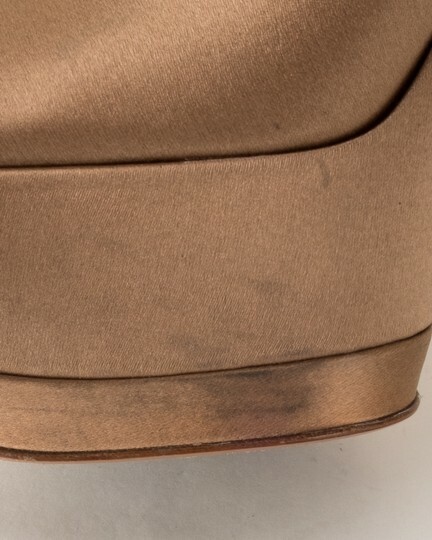 Scuffs on the soles.